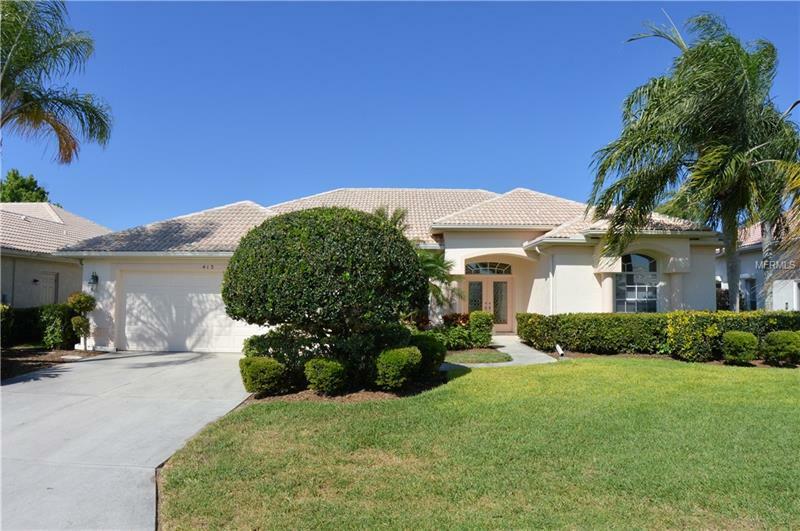 Tranquil lake views from most rooms in this 3BR, 2 Â½ BA home with low HOA fees! This spacious home has had updates throughout. The living room has sliding glass doors that open to the lanai and pool. The remodeled kitchen has raised panel cabinets, granite counters, modern back splash and stainless steel appliances. Enjoy casual dining in the breakfast nook that overlooks the pool. The kitchen has a breakfast bar which opens to the family room. The master suite has two walk in closets. Renovated master bath includes the shower, marble floors and granite counters. Both guest bedrooms have walk in closets. The large inside laundry room has a pantry, storage cabinets and laundry tub. The A/C has been replaced along with the water heater, some lighting and door hardware. Sip your morning coffee on the lanai while enjoying the serene lake views. Swim in the pool on those hot summer days, or enjoy soaking up the sun on the Travertine deck. Pelican Pointe is a gated community close to the beach. Resort style amenities include, community heated lap pool, a clubhouse with restaurant/bar/grill, fitness center, tennis courts and more. Pelican Pointe is a social community with many clubs and activities and golf membership is not mandatory! This location has it all!